If you’d like signed copies of any of my books please use the form on the books page. Hi Bernard, it’s me, James. 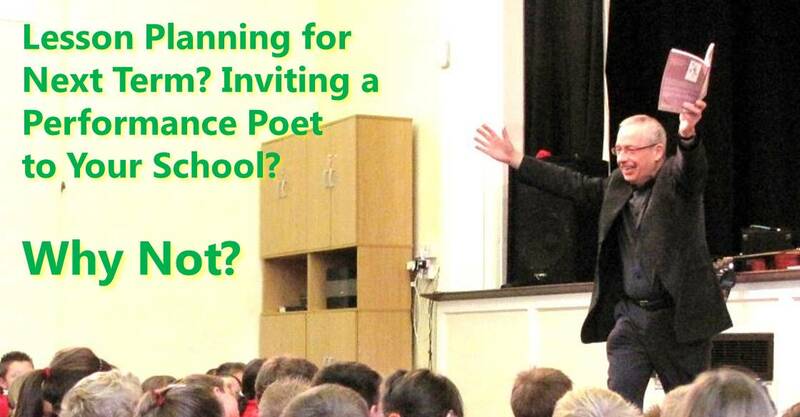 You will remember me for writing that ‘lovely’ poem of thanks at Oldfield School, Chester. Please feel free to publish it (tell me if you do), and you can e-mail my dad [email address removed]. I hope you answer soon! PS:- It was great to have you come to our school. Thanks James. I might put it on this site when I write about my visit which I enjoyed very much. And thanks for writing that poem. Its Year 4 here at Oldfield Primary School. We had a fantastic day with you and we have just been reading your post about us on the website. James is very happy to be famous since you posted his poem! We now have a lovely display of the poetry you inspired in our classroom! We hope to read some more of your poetry very soon! From Snow White and the 31 dwarves! Thanks for letting me know about all the poetry on display. That’s great. Hi Bernard its Maisie from y4 in Oldfield primary school here. As you heard that James Read is very happy to be famous thanks for helping me with my poem about cats.It is now up on y4’s wall and everyone loves it because you helped me and now I am writing loads of poems about you . This is all great to hear. Thanks. hi Rebecca I didn’t mean just mine but loads of people’s poems and I was talking to Bernard not you!!!! it was nice of you to come to are school. you inspired me to do one of my very own. you are a very great poet as James said. It was great having you around in our school on world book day you inspired me to write my own peom. i hope to hear and read more peoms off yours!!!! p.s year 4 at oldfield primary school!!!!! Thank you. Perhaps I’ll get to read more poems of yours. I enjoyed the day too. Thanks. Thank you. I had a lovely day too. hi bernard its me!! jemma from year 4 at oldfield i really like your stay at my school maybe when i am grow up ill be a poet 🙂 . !!! I’ve been writing a long time. PLEASE CAN YOU SEND ME A MESSAGE OF JAMES POEM.AND WHERE DO YOU LIVE ? I live over 130 miles from Chester. Hi Bernard were can I find some of your poetry books I cant seem to find any in the shops or Library? They have been out a while. I’m in lots of poetry anthologies and ‘Brilliant’ and’Wanted Alive’ are on Amazon. Play football on monday your have a run all day. Play football on tuesday your be on the news all day. Play football on wednesday your make friends on that day. Play football on thursday the nurse will make you better on the next day. Play football on saturday your have a splatter day. Play football on sunday your have a fun day. So play football on the best days of the week. Iv’e made another poem called days of the week. Thanks for sending them. Glad you’re doing lots of writing. Oh! It seems as though all my ‘fans’ are writing on here too! As I speak, another fellow dwarf is writing a comment! But don’t spam the wall. wobbly tooth in my jaw,ouch that hurt now its gone sore. told my mum she said it was tooth-ache,she also said i am not aloud cake. i bit into an apple i shouted “ouch”,then i took a look my tooth had come out!!!! Yes and thanks for putting the poem. Year 5, Year 6 next…time flies.